Thomas J. Brandi represents people in consumer class actions, injury and wrongful death including aviation, dangerous roads, defective drugs, and unsafe products. Tom has 19 verdicts from $1 million to $1 billion, has tried cases to verdict in 15 California Counties, and settled over 150 cases over one million dollars. He has been Court appointed to numerous executive committees in mass tort cases. Tom has been recognized for his trial skills named Trial Lawyer of the Year by CAOC (2004), nominated for Trial Lawyer of the Year by the CAOC (2002, 2004, 2012) , four time nominee for Trial Lawyer of the Year by the SFTLA (2000, 2002, 2004,2012), and named to the Top 25 Plaintiff attorneys in California (Daily Journal 2015). He was also nominated as National Trial Lawyer of the Year by the Trial Lawyers for Public Justice (2004). In 2016 Tom was named to the State Bar of Ca Litigation section Trial Lawyer Hall of Fame. The Brandi Law Firm practices throughout California and has three attorneys licensed in Nevada and Arizona as well. Tom has been selected to BEST LAWYERS since 1995 for Mass Tort Litigation and Personal Injury Litigation and was 2013 Personal Injury Trial Lawyer of the Year and TopTen Super Lawyers 2013 and 2014. The Brandi Law Firm is BEST LAWYERS Tier One Nationally inMass Tort Litigation, and Class Actions-Plaintiffs. Tom teaches Trial Practice at USF Law School where he was 2009 Distinguished Alumni of the Year and Professor of the Year in 2010. 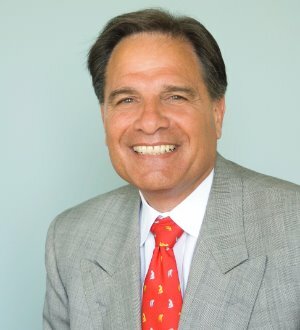 Tom was President of the Consumer Attorneys of California, San Francisco Trial Lawyers Association, is a member of the International Academy of Trial Lawyers, the American College of Trial Lawyers, LCA, and ABOTA.